Editing is only half the process of creating videos online. Your videos can’t make a difference if no one sees it. In today’s episode, we start our new Mount Rushmore series and share our top tool recommendations for creating videos online. 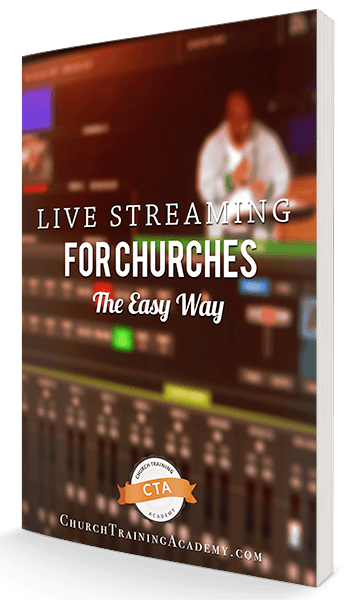 In this ongoing series, we’re going to share with your our top tools for getting church media done easier, faster, and more efficient. So if you were to imagine us building our own Mount Rushmore for various fields in church media, these are the faces we would carve into the side of that mountain. And today we’re talking about our favorite tools for creating videos online. We’re moving beyond video editing because the greatest video edit doesn’t do anything if it’s never discovered or viewed. So our Mount Rushmore for Creating Videos Online starts with our top tools for getting your videos seen and consumed. Tube Buddy is a great tool for optimizing your videos to be discovered by search. And there’s even more with the higher plan! Tube Buddy is an easy way to start optimizing your videos to be seen the way you want to. Your workflow will also speed up using this tool. Traffic Xtractor is a little-known tool created by Internet Marketers to help you find low-competition keywords. Keywords are basically the words and phrases that people search to find content. Traffic Xtractor will tell you how many YouTube videos are using a certain keyword. Using this information, you can optimize your video to reach more people by using less competitive keywords. And less competition means your video will have a greater chance of appearing at the top of YouTube search results. Let’s say you want to make a video on the topic of pets and heaven. Traffic Xtractor will tell you what keywords are in high-use, and which ones have little-to-no competition. So I just typed in “do pets go to heaven” and here are the related keywords. So you can see that 38 YouTube videos are using the key phrase, “do pets go to heaven.” It’s not bad, but you have a quite a few videos to compete with. However the key phrase, “bible verses on animals” have ZERO other YouTube videos, and over a 1,000 searches are made every month for that info. This means making a video on Bible verses will net you more views with less competition. So if you’re really serious about getting more views for your videos, Traffic Xtractor is a must-have for finding low-competition keywords. This one isn’t so much to help you get found like the other heads on our Mount Rushmore, but this is a tool that will keep people watching your video. Whether you have a talking head video, a highlight reel, or a branded intro/outtro, you need audio to fill your video. 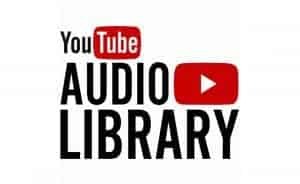 YouTube Audio Library is a free resource provided by YouTube that gives you music that you can use for free in your videos. Thumbnails are incredibly important to get people to click on your video. There are billions of videos at your audience’s disposal, and if you show up in a search result, you need to stand out from the others. So of course, a thumbnail creation tool is on our Mount Rushmore. Adobe Spark is great for making thumbnails quickly. This app makes design easier with templates and photo libraries to pull from. Spark is great for making thumbnails for sermon videos, testimony videos, church announcements, and simple videos like that. BUT, if you want to make more of the “YouTubey” thumbnails with a character standing out and advanced text effects (similar to what we use on our Church Training Academy YouTube Channel), we recommend GIMP. 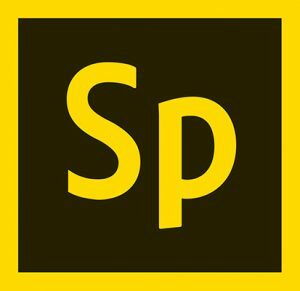 There is a learning curve but if you want more than what Spark gives you, check out GIMP to make more pro-looking thumbnails. Creating videos online isn’t only about editing and publishing the video. You also need to make it easy to discover and consume. Use our “Mount Rushmore” of tools to get your videos noticed with proper tagging, low-competition keywords, good audio, and clickable thumbnails. 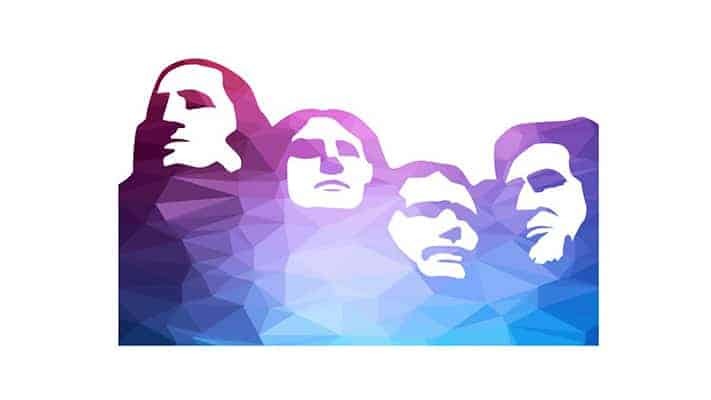 Do you use any of the tools on our Mount Rushmore of Creating Videos Online? Let us know in the comments below! *Full Disclosure: As an affiliate, we receive compensation if you purchase any of the resources above at no extra cost to you. Thanks for your support!